Not being able to poop and having bloated stomach pains are both equally uncomfortable. No one likes to experience these pains and no one wants to experience these pains; it’s unsatisfying. 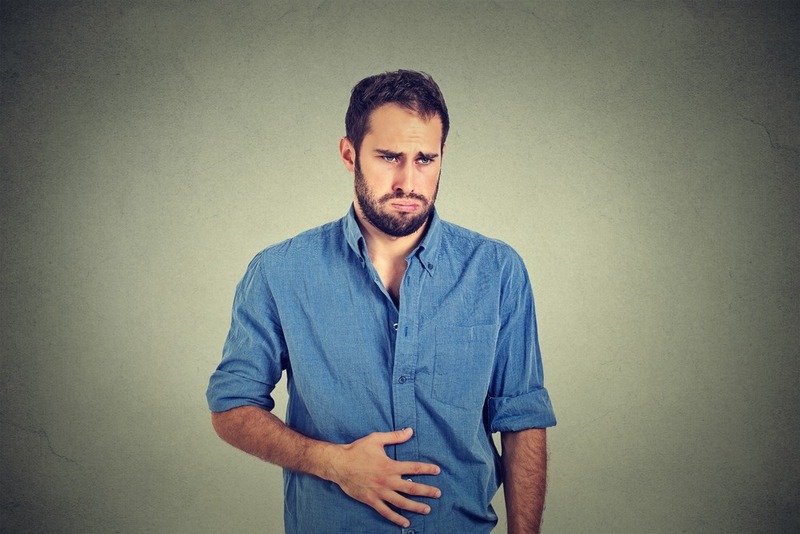 The gassy kind of bloat is the kind that makes you want to unbutton your pants after eating certain foods. Generally, these foods consist of beans, dairy, broccoli, cauliflower, and greasy foods. Don’t take this too seriously, though, as some of these foods may get some people to bloat and others to not bloat. The water-retaining kind of bloat makes you feel puffy. Typically, this kind of bloat is triggered by dehydration. It can generally be brought on if you eat a lot of salty foods with not enough potassium in them. No matter what kind of bloating your experiencing, I’ve found a quick and easy solution: Try eating these foods that I’m about to suggest. Basically, pick the foods out of the list below that you most enjoy and start eating them once you get that bloat-like feeling. Yogurt is filled with probiotics. Probiotics are the good bacteria present in your GI tract. Their jobs are to ensure a healthy digestive process and to calm any inflammation in the GI tract. This makes probiotics a huge helper in the fight against bloating of any kind. Ginger is well-known for its anti-inflammatory properties, and it has been known for this for quite some time. The herbal medicine is very capable of ridding the body of any type of bloating as well as any type of gas. Let me explain a little bit more. Ginger’s anti-inflammatory properties allow your intestines to feel nice and relaxed, in turn reducing any inflammation present in your colon. This allows the food in your GI tract to pass through your system easily, which also results in you experiencing a limited amount of gas/bloat. 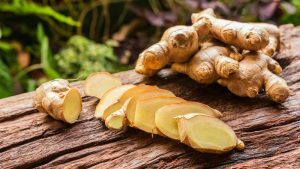 The best way to get ginger into your system is to put a teaspoon in your warm cup of tea; you can do this any time before, after, or during any meal. Potassium is known to reduce bloating in the body, and bananas are filled with potassium! One of the main reasons you have water bloating, as stated above, is because you’re taking in too much salt and too little potassium. So, if you’re starting to have water bloating symptoms (a puffy feeling all over), then go get yourself a banana. Keep in mind that eating a banana will not automatically rid your body from the bloating symptoms. If you regularly eat bananas, though, it will reduce your ability to bloat in general. Sources say that there’s an old lemon and water trick to defeating symptoms of bloat, and sources are right. Let’s put it this way: The acidity in lemon juice is almost the same as the acidity present in your stomach juices. Because of this, both the lemon juice and the acidic stomach juices can work together to get rid of bloating symptoms and indigestion faster. Tip: If you drink lemon water on a normal basis, you’ll both double up on your hydration for the day and have a jump start on helping your GI tract move foods along (ultimately to avoid bloating). Cantaloupes are super sweet, we know this. Did you know that they were almost entirely comprised of water, though? In fact, the water content in cantaloupes, watermelons, and honeydews is equivalent to having a glass of water. In turn, eating such fruits can help hydrate your body and reduce bloating overall. 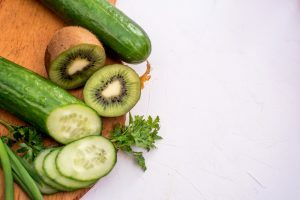 In addition, these fruits are also known to be a diuretic, which means that they are great assistants to ridding the body of all that excess salt and water that we don’t need. Canned pumpkin is loaded with potassium, but that’s not all it’s good for. Pureed pumpkin also contains a ton of fiber, which will get your digestive tract moving things along in no time. Moving such substances and foods along will reduce any sort of bloating or gas-like symptoms. In addition, pureed pumpkin has a total of 14,000 IU of vitamin A, therefore it’s able to almost entirely omit any kind of inflammation in the GI and digestive tract. Cucumber is a huge helper in the department of hydration; I mean it has a ton of water in such a little cylinder-like vegetable. While keeping you hydrated, cucumbers have the ability to push out any excess water. Another interesting fact about cucumbers is that they contain sulfur and silicon. These two substances act as diuretics, which help you get rid of all those unneeded substances in your body. Believe it or not, kiwi is a very powerful fruit when it comes to helping the digestive system. Why is this? Well, probably because kiwis contain the enzyme actinidin, which helps speed up digestion. Try eating two kiwis when you start to bloat; not only do these fruits have the ability to help you out, but they also contain the minerals potassium and fiber (and two kiwis just so happen to be 90 calories!). Papaya contains the enzyme papain, which helps break down the foods you eat. In addition, papaya helps fight against inflammation, making it a key ingredient in fighting bloat-like symptoms. You can find the enzyme papain in supplement form, but if you choose to go this route, be sure to only drink one cup of the substance at a time considering it has a high dosage of fructose in it.